This Lunar New Year the Hong Kong film competition has been particularly fierce. 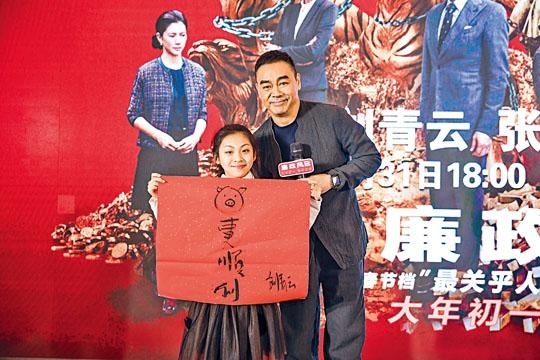 The Lunar New Year's Day box office went to the Sean Lau Ching Wan, Nick Cheung Ka Fai and Karena Lam Ka Yun starred Emperor Motion Picture INTEGRITY (LIM JING FUNG WON YIN MOK) with HK$ 3.974 million. As of yesterday the Lunar 2nd evening it reached HK$ 6.812 million!. INTEGRITY yesterday already became the Chinese film cumulative box office champion, in less than two days it already beat the 7 day in release MISSBEHAVOR (GUNG HEI BAK POR). Yesterday at the Lunar New Year's Day (February 5th) Hong Kong box office, the Alan Mak Siu Fai directed, Lau Ching Wan, Cheung Ka Fai, Lam Ka Yun starred, Anita Yuen Wing Yi guest starred Emperor new film INTEGRITY made HK$ 3.974 million. As for yesterday the Lunar 2nd afternoon it already made HK$ 6 million and the evening it climbed to HK$ 6.812 million and led the Lunar New Year long holiday box office. As for the Stephen Chow Sing Chi written and directed all new Lunar New Year film NEW KING OF COMEDY (SUN HEI KET JI WONG) as of last night at 6PM it made HK$ 6.116 million in third place. In second place was the James Cameron produced new Hollywood film ALITA: BATTLE ANGEL, which made HK$ 6.442 million on the Lunar New Year's 1st and 2nd day. The family animation HOW TO TRAIN YOUR DRAGON 3 THE HIDDEN WORLD made HK$ 3.293 million over the two days in fourth place. As for other Hong Kong films, the Pang Ho Cheung directed MISSBEHAVIOR made HK$ 2.314 million over two days; the Wong Cho Lam directing debut, the musical I LOVE YOU, YOU'RE PERFECT, NOW CHANGE! (NEI MAI LEI, NGOR OI NEI!) made HK$ 1.924 million over two days; the Andrew Lam Man Chung directed A LIFETIME TREASURE (YU JU YU BO) over two days made HK$ 1.908 million. The three Hong Kong films covered the 5th to 7th spots. Ching Wan happily responded to his new film's success, "After learning about such a good opening for INTEGRITY, of course I am very excited. Thank you very much everyone for your support and here I want to wish each viewer Happy New Year, May everything turn out as you want them to and good health!" Ka Fai also said, "Thank you everyone for your support, with success of course the director and the boss have to buy dinner!" 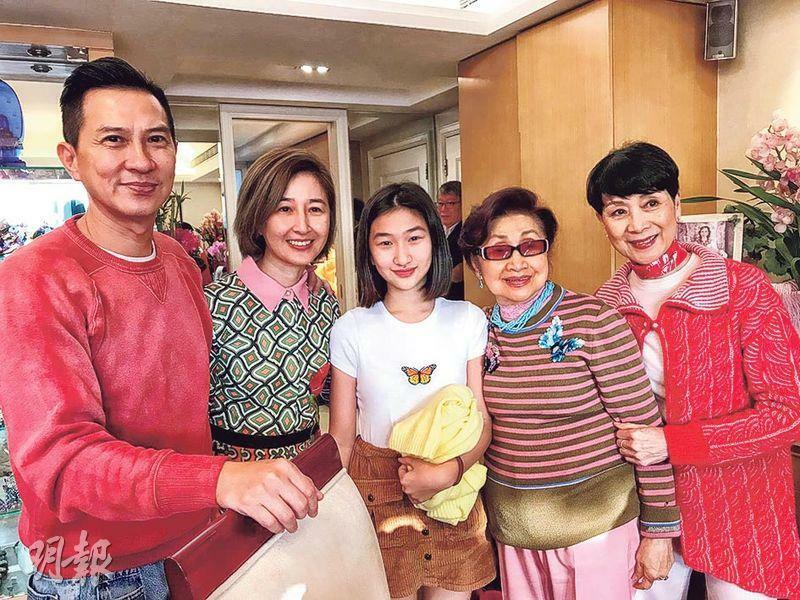 Ka Fai on the Lunar New Year's Day took his wife Esther Kwan Wing Ho and their daughter Brittany Cheung Tung to Sister Sin Pak Suet Sin's home and paid a New Year's visit. Ka Yun also took her family to see the movie on the Lunar New Year's Day. Yesterday she was dressed in pink and without makeup as she celebrated with pancakes . She also asked everyone to remember to go to the movies online. "Gung Hei Fat Choy Happy New Year! Wow the second day of the opening is a very happy one! It is still number one at the box office, congratulations Boss Yeung, congratulations Director Mak! I hope there will be more to come."